One of the best views in the world. 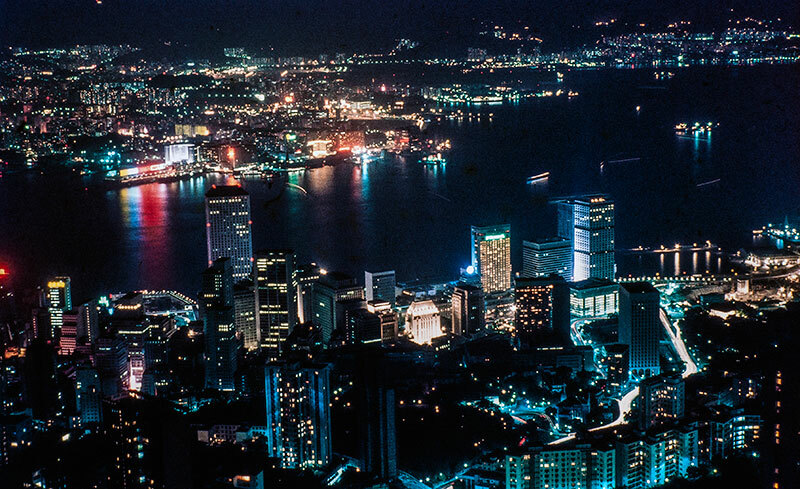 Hong Kong by night from Victoria Peak. It will have changed a lot since I was there last with many more skyscrapers. A long time exposure has captured the light of the ferries crossing the harbour.